Hah, excellent! Poetry is often times best enjoyed with copious amounts of maple syrup! I said that about my collage homework once... now I'm preparing for another entry exams. That's.. unfortunate. But you have to make people understand. BRING THAT PANCAKE TO THEM. 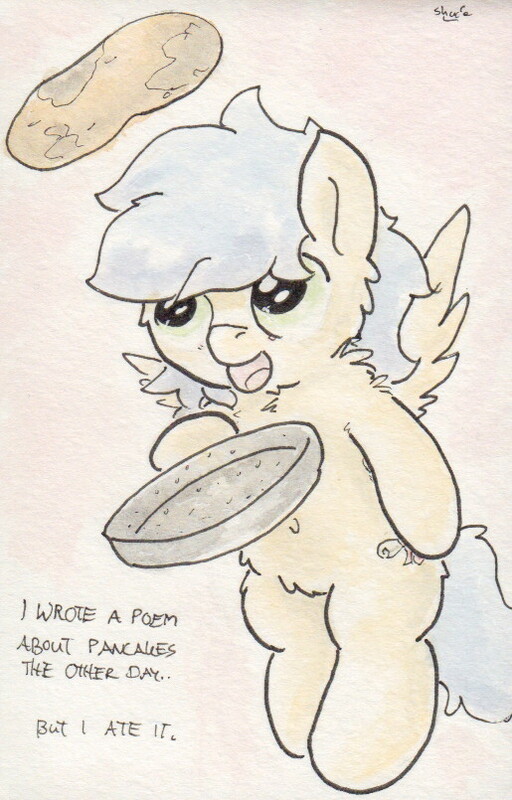 That what happens when you write your poetry ON the pancake. Oh. Well.. it was an honest mistake!